It has been many years since I have had this fish. It was a dish that my late mother used to cook for us when we were kids and just cooking it brought back a lot of memories. I was telling my mother in-law about this fish and she managed to find some at the market. 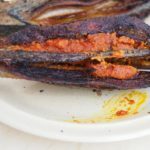 I was so excited to cook this delicious fish for the family. 1. 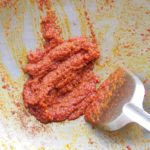 Blend the sambal paste ingredients in a food processor until fine. 2. Heat up oil in a wok. Add the sambal paste and sauté until fragrant then season to taste with salt, sugar and tamarind paste. Stir well and dish out. Keep aside. 3. Clean the fish. 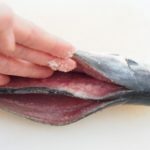 Use the tip of a sharp knife to make a deep slide from the back of the fish to make a pocket to stuff the sambal paste. Repeat on another side of the fish. Apply some salt on the fish. 4. 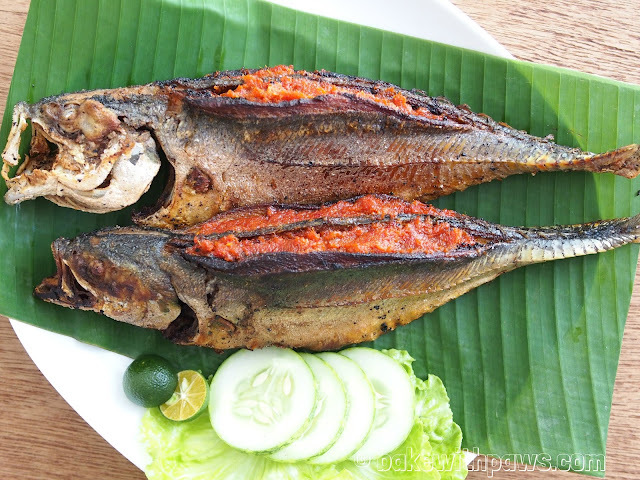 Stuff about one tablespoon of sambal paste in each side of the fish. 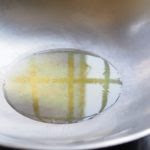 Do not over stuff or it may leak out during frying. 5. Heat enough oil in a wok to deep fry the fish till cooked and crispy. 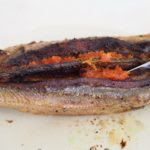 Remove fish from wok. 6. 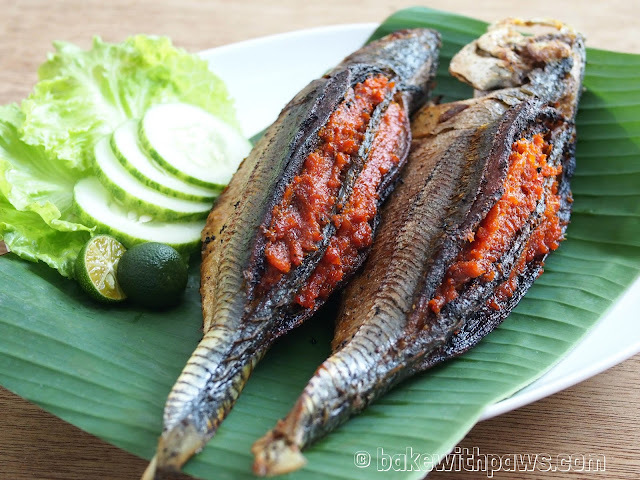 Stuff the balance of cooked sambal paste into the fish to serve.